A LEADING drug reform advocate and esteemed doctor is calling for a shake up to the illicit drug market, suggesting substances like MDMA, marijuana and ecstasy should be regulated and sold at chemists. Speaking on Today, Dr Alex Wodak, head of the Australian Drug Law Reform Foundation, called for the idea to be considered as a way of reducing deaths. "You can't prevent deaths completely. But if you reduce them a lot that's well worthwhile," Dr Wodak said. "I'm not saying (it's) safe, I'm saying it's safer. Nothing is safe - it is only you can reduce the risk, you can't eliminate the risk. And we should try to reduce the risk." 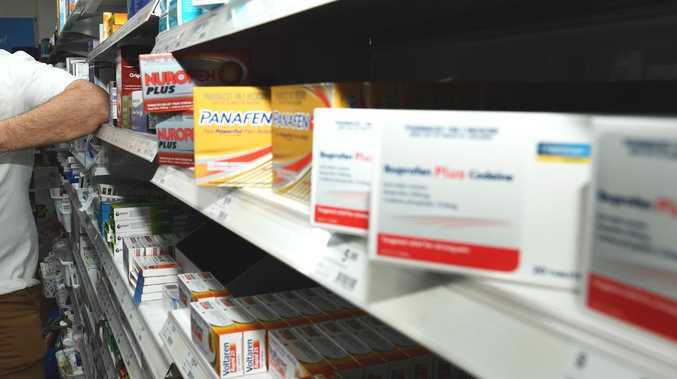 The idea, suggested seven years ago by Melbourne professor David Pennington, centres on taking the distribution of illicit drugs away from dealers and handing it to pharmacies instead. "It would eradicate the impurities. It would eradicate merchandise being cut with impurities … there will be a known dose," Dr Wodak said. He has been campaigning for a harm minimisation approach to illicit drugs, telling the breakfast show that putting substances like MDMA and marijuana in pharmacies would take the power out of the hands of "backyard amateur operators". 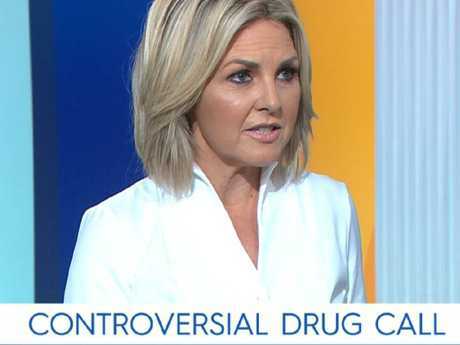 Today host Georgie Gardener questioned how the over-the-counter approach would work and how pharmacies would get around "regulating and selling an illegal product". In comparison, Dr Wodak brought up things that had previously been illegal in Australia that were now commonplace. "Well, lots of things go from being illegal one day to being legal the next. And also in the reverse direction," he said. "So betting outside a racing course used to be illegal, and now it is handled by the TAB which is now a private operator. Homosexuality used to be illegal, and now gay people, if they want to, can get married." Dr Wodak first made the over-the-counter suggestion to The Daily Telegraph, an idea lashed by Tony Wood. Mr Wood lost his daughter Anna to a single ecstasy pill in 1995 and is an outspoken critic of any regulation within the illicit drug industry. "Selling ecstasy over the counter is the most insane thing I've ever heard," Mr Wood told the publication earlier today. 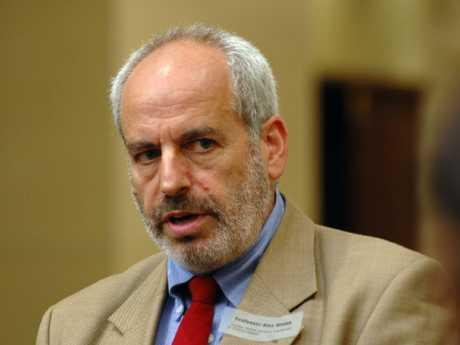 Dr Wodak was asked to respond to the grieving dad's comments on Today this morning with the harm minimisation expert suggesting not every parent felt the same. "I have great respect for Tony Wood. And I'm very sorry for Tony and his family about what happened to his daughter of course," Dr Wodak said. "But there probably are 20 parents in his position who have lost their children to drugs who would take a different view from Tony Wood's and take the same view as me. Twenty parents for every one like Tony." One example of those calling for greater regulation to the illicit drug industry are the parents of Alex Ross-King. Ms Ross-King died two weeks ago after taking a substance believed to be MDMA at FOMO festival in western Sydney. 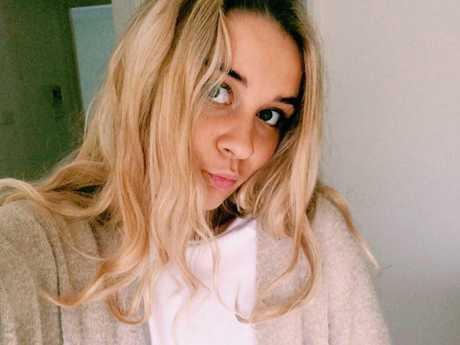 The 19-year-old had taken herself to a medical tent at the festival when she began to feel unwell but tragically died at Westmead Hospital hours later. Less than a week after losing their daughter, Ms Ross-King's parents called for pill testing to at least be debated by the government. "We are deeply grieving the sudden loss of our beautiful girl Alex," the family said in a statement. "We encourage government to courageously take all active measures possible to reduce the risk, in particular, festival goers, through intensifying current initiatives as well as implementing other harm reduction strategies. "Pill testing is only one measure. There is no safe level of drug consumption BUT, it is an opportunity for intervention." Alex Ross-King died of a drug overdose at FOMO.